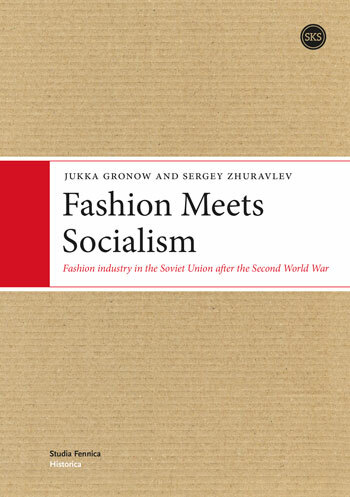 This book presents, above all, a study of the establishment and development of the Soviet organization and system of fashion industry and design as it gradually evolved in the years after the Second World War in the Soviet Union, which was, in the understanding of its leaders, reaching the mature or last stage of socialism when the country was firmly set on the straight trajectory to its final goal, Communism. What was typical of this complex and extensive system of fashion was that it was always loyally subservient to the principles of the planned socialist economy. This did not by any means indicate that everything the designers and other fashion professionals did was dictated entirely from above by the central planning agencies. Neither did it mean that their professional judgment would have been only secondary to ideological and political standards set by the Communist Party and the government of the Soviet Union. On the contrary, as our study shows, the Soviet fashion professionals had a lot of autonomy. They were eager and willing to exercise their own judgment in matters of taste and to set the agenda of beauty and style for Soviet citizens. The present book is the first comprehensive and systematic history of the development of fashion and fashion institutions in the Soviet Union after the Second World War. Our study makes use of rich empirical and historical material that has been made available for the first time for scientific analysis and discussion. The main sources for our study came from the state, party and departmental archives of the former Soviet Union. We also make extensive use of oral history and the writings published in Soviet popular and professional press.